… And they might say it, too — thanks to the rise of voice search. Over the years, many things have changed in the world of cyberspace. But one thing seems to be pretty much a constant: When people are in “search” mode online, most of them are playing in Google’s ballpark. This behavior has been underscored yet again in a new survey of ~800 consumers conducted by Fivesight Research. The smartphone figure above is even more telling in that the percentage is that high whether users are on an iPhone or an Android system. But here’s another very interesting finding from the Fivesight survey: Google’s biggest competition isn’t other search engines like Bing or Yahoo. Instead, it’s Siri, which now accounts for ~6% of mobile search market share. So what we’re seeing in search isn’t a shift to other providers, but rather a shift into new technologies. To illustrate, nearly three in four consumers are using voice technologies such as Siri, Google Now and Microsoft Cortana to supplement their traditional search activities. Some marketing specialists contend that “voice search is the new search” – and it’s hard not to agree with them. Certainly, voice search has become easier in the past year or so as more mobile devices as well as personal home assistants like Amazon Alexa have been adopted by the marketplace. It also helps that voice recognition technology continues to improve in quality, dramatically reducing the incidences of “machine mistakes” in understanding the meaning of voice search queries. But whether it’s traditional or voice-activated, I suspect Google will continue to dominate the search segment for years to come. That may or may not be a good thing for consumers. 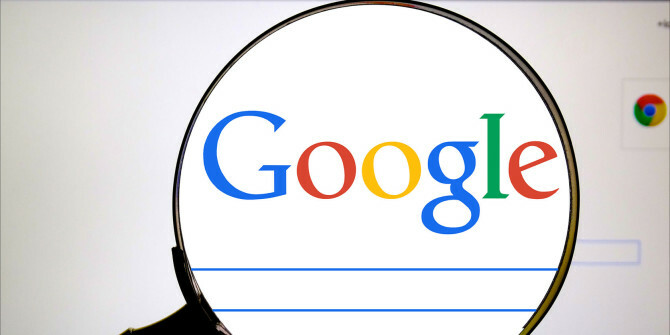 But it’s certainly a good thing for Google – seeing as how woefully ineffective the company has been in coming up with any other business endeavor even remotely as financially lucrative as its search business. ← United Airlines’ four miscalculations — and the $200 million impact. I use both but almost 30% of the time, Siri doesn’t find what I’m asking about so I use Google.